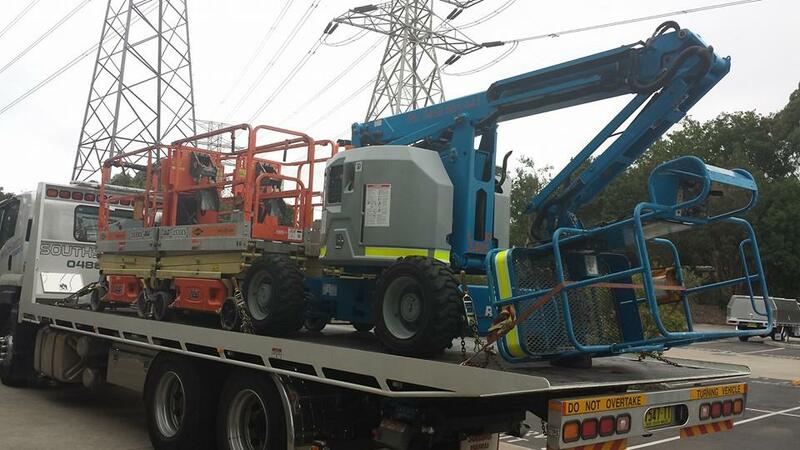 With over 10 years of experience in Machinery Towing Sydney & transporting heavy equipment, you have professionals that transport your machinery safely and without damage. We can handle up to 12 tonnes without any problems. We understand that experience is necessary when moving heavy machinery. Logistics, technology, and technique is all part of the transport. Southside Towing Sydney is the experienced towing company in Sydney that specialises in heavy equipment. Your machinery towing Sydney needs may be to move an excavator to a worksite a few blocks over, or you may require scissor lifts to be towed to the other side of Sydney. Regardless of your machinery towing need, we are equipped to handle it; and, handle it safely and efficiently. Experience is on your side with Southside Towing Sydney. We are experienced and fully insured and accredited to move heavy machinery and equipment, and do so safely and efficiently. We understand that towing is not always planned, and on occasion, you may require emergency towing services of your heavy machinery or equipment. We quickly arrive to handle your towing needs. Southside Towing Sydney provides the power & performance needed to haul heavy equipment & machinery and combines it with affordability in towing. We are Sydney’s reliable heavy machinery towing company that also offers recovery equipment services. We know the importance of the load, just as the weight of the loads, and that proper equipment and techniques need to be assured for safe transport. Heavy duty towing requires more than training and experience. It requires skills and the right equipment, or your load will not be arriving safely. Southside Towing is a reliable heavy-duty towing company that has the equipment and the trained specialists with the skills. That is the outcome of the Recent Tow Truck Adventure in Sydney. We needed to take about 10 tonnes halfway across Sydney. The expense was obviously a factor, but the qualifications and experience of the towing company was a priority. Southside ranked at the top, and a choice in a heavy-duty towing company I am glad I made. The equipment was hauled to perfection. The men were exact, fast, and efficient. This is a towing company I would recommend to anyone for heavy duty towing.